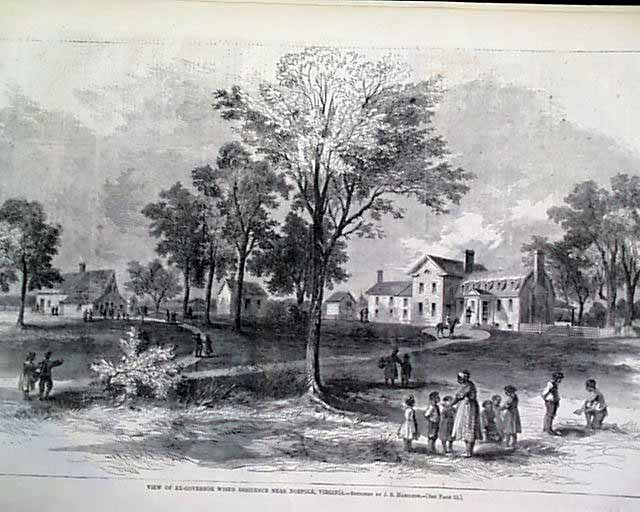 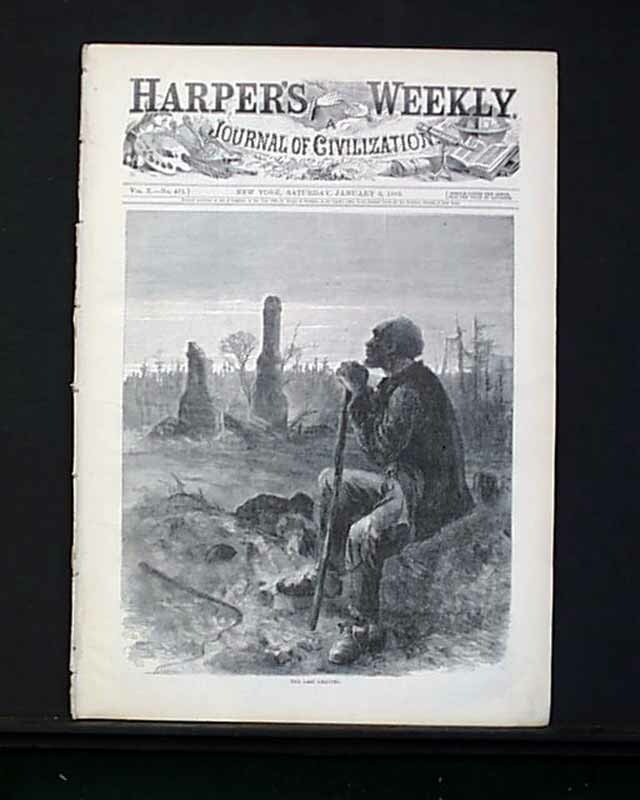 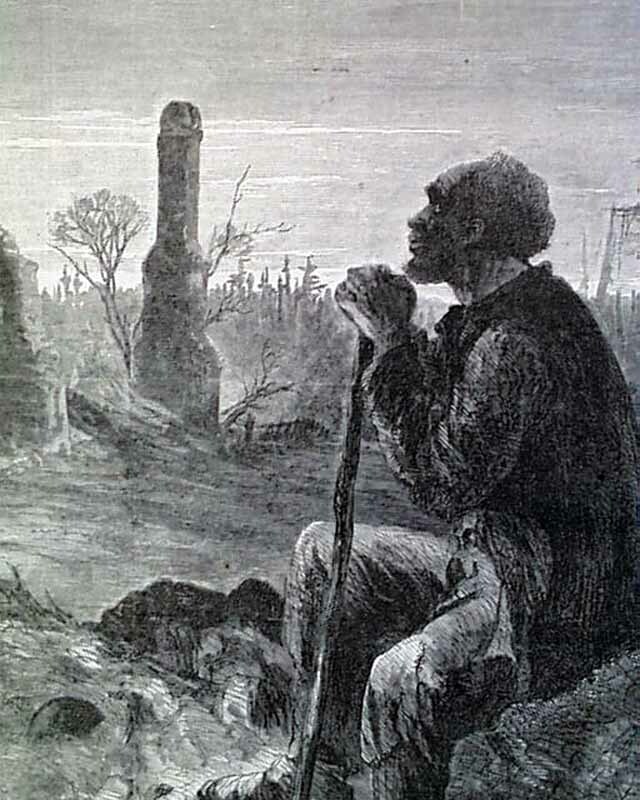 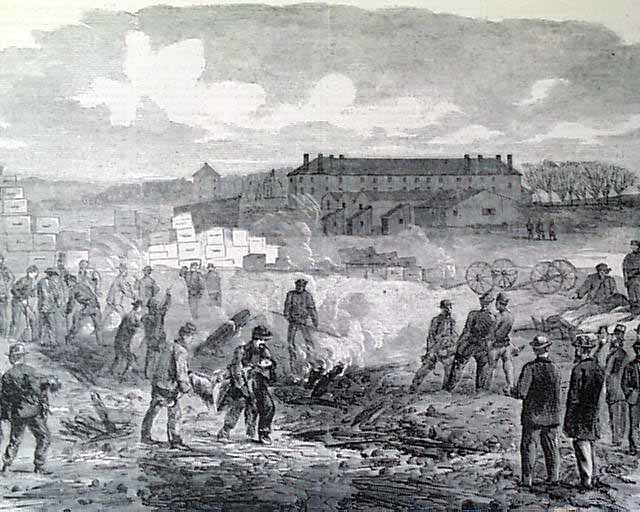 HARPER'S WEEKLY, New York, Jan. 6, 1866 Full ftpg: 'The Last Chattel' shows an elderly Black man looking over the ruins of his home. 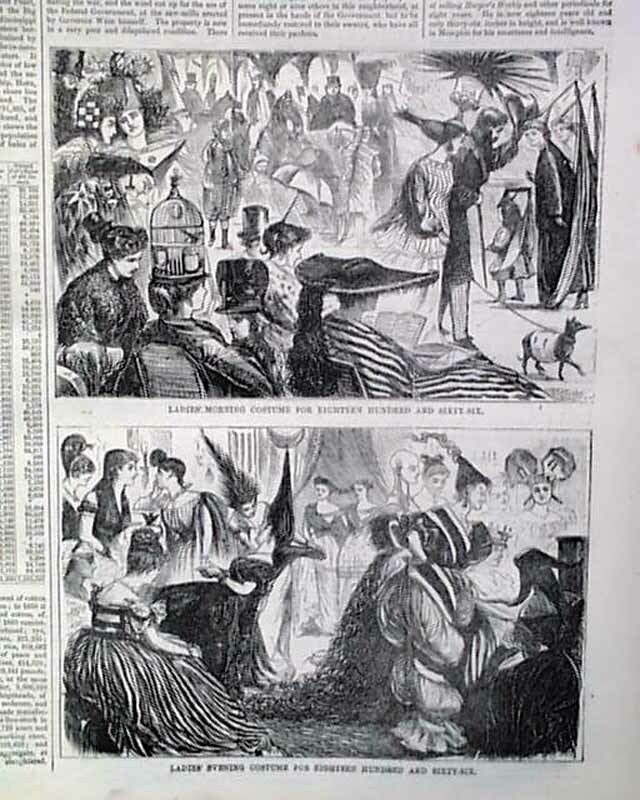 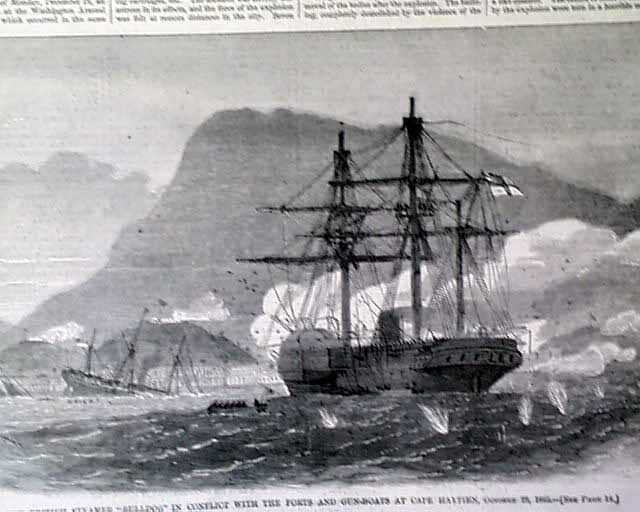 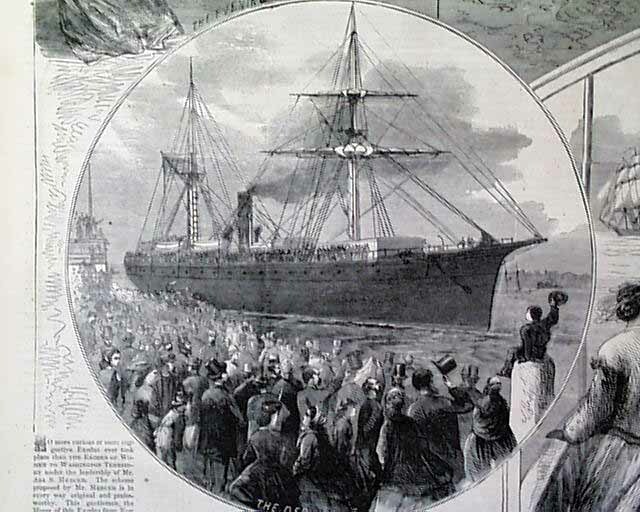 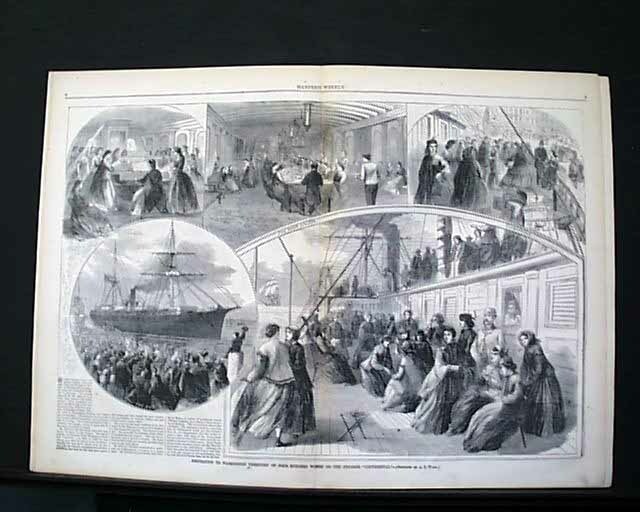 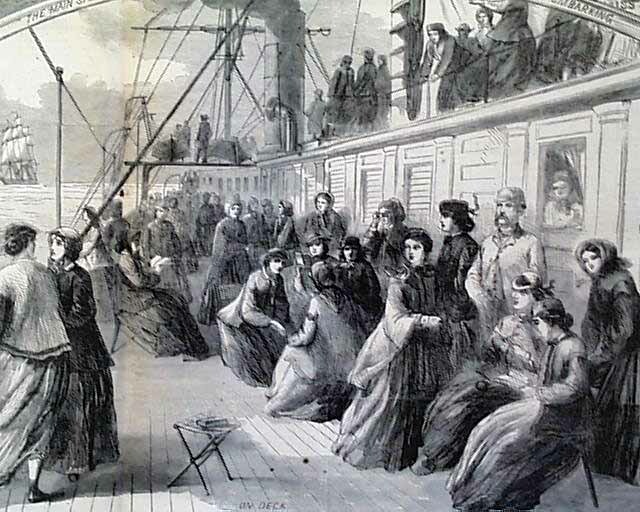 Dblpgctrfld: 'Emigration to Washington Territory of 400 Women on the Steamer Continental'. 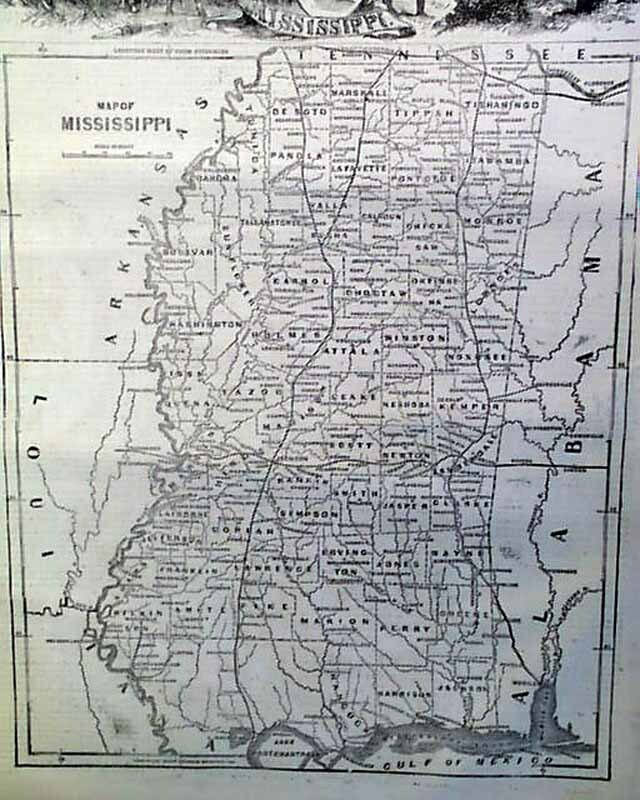 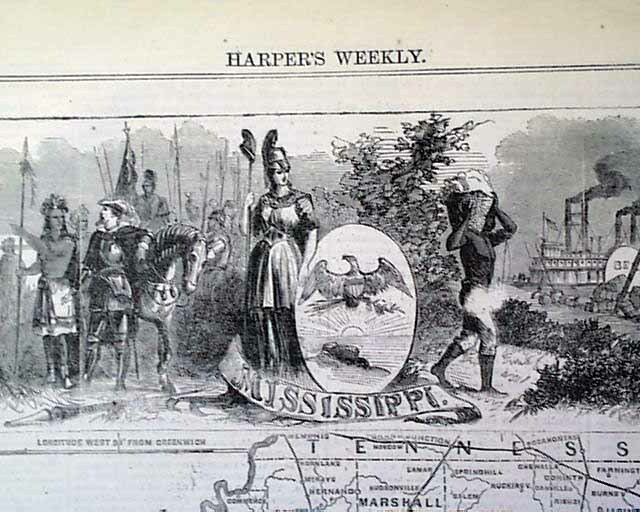 Fullpg: 'Map of Mississippi' with decorative heading. 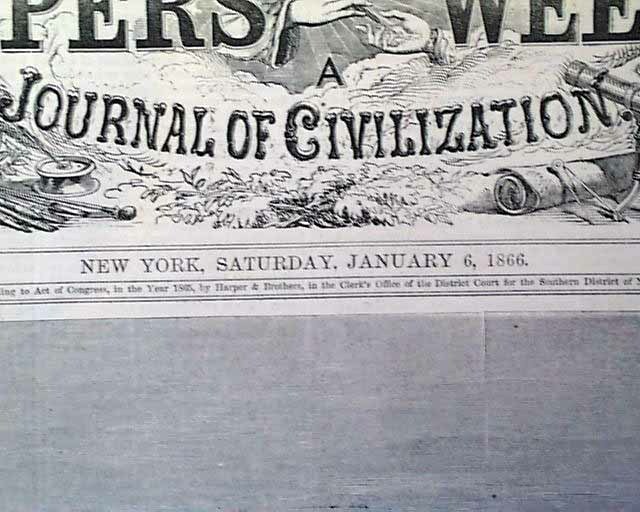 Note: Since most issues come from disbound volumes, this being the first of the year typically has more wear than later dates in the year.